Highlights of the Sky Bet Championship match between Rotherham and Sheffield Wednesday. Sheffield Wednesday rebooted their play-off challenge in the Sky Bet Championship with a 2-0 win at relegated Rotherham. 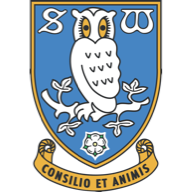 A poor run of form had seen the Owls slip out of the top six but Steven Fletcher's first-half double set them on their way to just a second victory in eight games. Their performance will not do a lot to ease supporters' nerves, but they did what they had to do to get past the Millers and move back into the play-off places after Fulham's defeat at Derby. 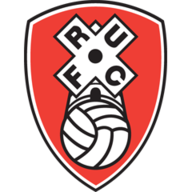 For Rotherham, who saw their return to League One confirmed at the weekend, it was a club record ninth successive league defeat. Nevertheless, interim boss Paul Warne is expected to get the job on a permanent basis, with an announcement due on Wednesday. The Millers, playing with the freedom of a condemned side, were the better team in the opening 15 minutes and had a superb chance to break the deadlock. Some clever play by Carlton Morris set Jon Taylor clear in the penalty area, but the winger curled his effort just wide of the post when he should have converted. As ever with the Millers this season they were punished for failing to take their chances as Sheffield Wednesday forged a 19th-minute lead, though there was a strong suspicion of offside. A neat passing move saw Ross Wallace get the ball on the edge of the area and he slipped it through to Fletcher, who was earlier in an offside position, to fire home at the near post. It ended a 14-game drought for the Scotland international, who last scored in December, coincidentally against the Millers. The Owls were by no means playing well and should have found themselves pegged back in the 42nd minute but Morris headed straight at Keiren Westwood from six yards out after Danny Ward's pinpoint cross. They again made the Millers pay two minutes later as Fletcher headed in his second, as he climbed above Darnell Fisher from Jack Hunt's cross. Fletcher almost bagged a hat-trick with the second half only seconds old when the ball broke to him just six yards out but he could not get enough on his poked effort. After that there was little goalmouth action of note as Wednesday barely threatened a third and Rotherham never looked like getting back into it. Wednesday's game management was on point, meaning there were no late scares as they remain unbeaten in the league at the home of their South Yorkshire neighbours since 1976. "After having the Sheffield Wednesday fans telling me I am getting sacked in the morning, it's not the best! I have been told there is a board meeting and I am told they are going to come to a conclusion over the direction of the club and I would presume that will include the manager of the club. "If the chairman rings me up in the morning and asks me to be manager I will be very proud to do it. I can't promise I will do a good job but I will try. If he thinks I am the man to take the club forward, then brilliant." "We came here to win. This game last season we probably wouldn't have won. After the second goal we tried to achieve the 2-0 and close the game because after four games without a win we needed it. "We must win our games. We came here to win, we won and now we have six games to finish. Two away and four at home. We celebrated a lot at the end of the game because we are restarting again and we are ready to finish at a good level."